Nigerian model, Adetutu has been trending, after she got Rihanna’s attention though the help of some social media users. Adetutu spoke with Saturday Beats and she’s opened up about her tribal marks. 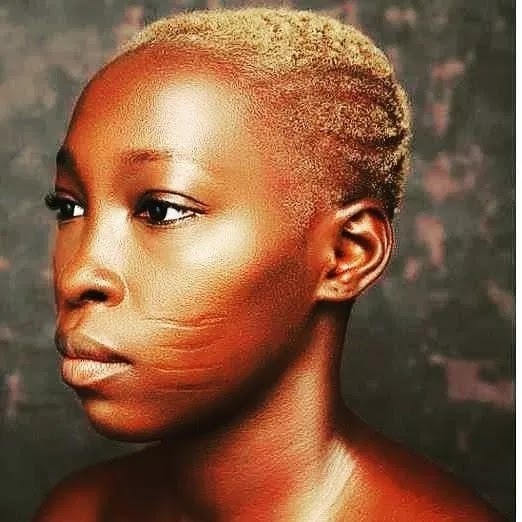 According to her, she was bullied due to the marks and it’s discouraged her from going for university education. 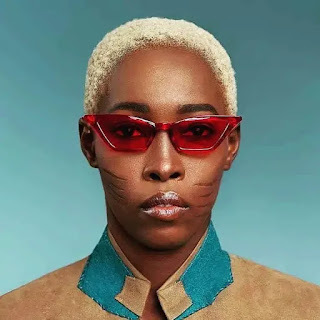 She said, I started modelling last year after I came out from my shell or hiding due to my tribal marks. The bullying started in my primary and secondary school days. Due to this, I learnt a skill instead of going to university. I was supposed to study law but I decided not to take the Unified Tertiary Matriculation Examination at all because I was scared of being bullied in the university. I believed that if I attended university, I might end up killing myself. Later, I had to ask my parents why they gave me these tribal marks and they told me it was because of our culture and to showcase my beauty. Sometimes when I walk on the road, people would drag me, only to tell me I am ugly but I always ignore them because some people defend me,” she said. I felt I was the ugliest girl in the world. I got fed up with relationships because men didn’t always want to go out with me during the day; they would prefer to be with me at night. There was a guy I dated for two years and that was the condition of the relationship, so I had to endure. In reaction, some social media users questioned how her baby daddy ‘did it’ with her.